From this site you can search our online catalog, track your reading history, and even renew books. With just a few clicks you can download audio and e-books from Listen Up Vermont, access free online classes at Universal Classes, and find out about our services and upcoming programs and events. TEENS, do you have thoughts and opinions and think no one is interested? Kingdom County Productions is collecting ideas from people between the ages of 13 & 18 to use in a musical hey are creating . Please contact them at info@listenupvt.org to see how to get involved. TML patrons can come into the library and choose seeds for their garden at no cost. High Mowing has sent a variety of veggie, herb and flower seeds. Take what you need and bring back any left overs. This is a great way to “play it forward.” If you have extra seeds at home bring then in to share with Newburyites, too. Enjoy! learn an Elizabethan dance…no touching! “Newbury Trails” – Hiking, Biking, ATV, etc. Patrons may check out the new pass to the Vermont Institute of Natural Science which will admit 4 adults for $5.00 each & children under 3 years old are free. Enjoy! Come and hear Penny Patch who was working in the Black Freedom Movement in the south when John Lewis’s book, MARCH, took place in the 60’s. (Get your free book at TML. and Library Trustee Carol Cottrell, who wrote the grant. If you have a child in this age range or know of one, please come into the Tenney Memorial Library and give us the child’s address. This will start children on the road to receiving a free book every month until they are five, mailed to their home. This is all you have to do. 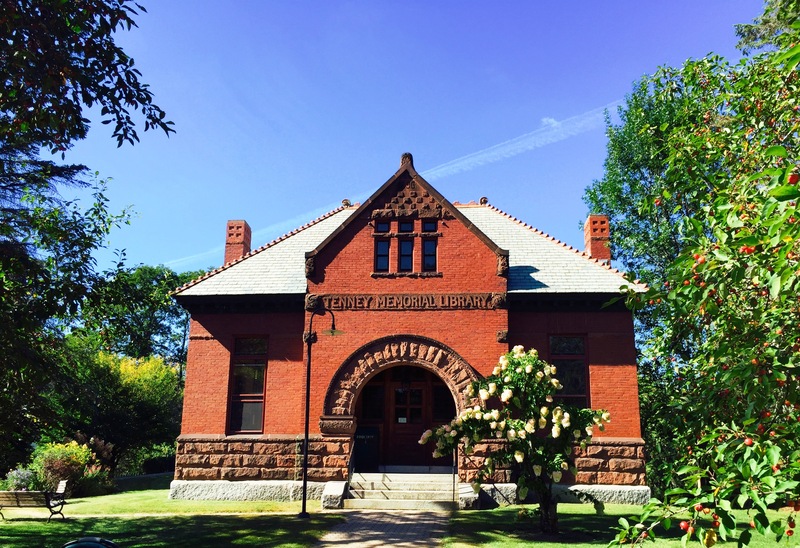 Thanks to the Vermont Humanities Council, Tenney has again received a grant for the 2019 Vermont Reads books. We have copies of Senator John Lewis’s graphic novel MARCH for you at the library. We will also be planning, with Baldwin Memorial Library, events around this book that tells the story of the Civil Rights March on Selma, Alabama in which John Lewis participated, along with Dr. Martin Luther King, Jr. Of course, there will be book discussions, but we hope to show some films about those times. The Historical Society will also be sponsoring a program. Watch this space for updates. No need to fret. TML has the definitive BOOK of BOOKS to help you plan your winter reading. All 100 books selected for the contest, artifacts and a one page description of every book are available to you here. You might wonder why you never read a certain book or remember why you had no interest n the first place. Represented in the Book of Books you will find children’s books, books from other countries, books of every genre. Why not use this book as a guide and give it a go? MYSTERY BOOK GROUP? Any interest? Anyone interested in being part of a MYSTERY book discussion group that would meet every other month at TML? If so, email me at tenneylibrary@gmail.com and tell me the best day & time for you. I will assemble a group and let you know when and at what time we will meet. WHERE ARE THE NEWEST BOOKS? We have been making an effort to acquire for our patrons books they suggest as well as those appearing on the NY Times and Boston Globe best seller lists and recommended on NPR. if a book is on one of these lists we probably have it in the front Reading Room. In addition, Tenney is very active in the inter-library loan system in Vermont, now called CLoVER. We are happy to get you just about any book you desire. We were able to purchase ALL of the Dorothy Canfield Fisher award winning books for 2018-19. They are in the Juvenile section as you come into the library from the parking lot. Enjoy! Many periodicals are in this room also. Please enjoy the wide variety that we have . You may borrow periodicals from TML , too. ENJOY! Authors: Jacquekine Windspear (Maisie Dobbs),James Patterson,Daniel Silva,Faye Kellerman,Maria Semple, and JoJo Moyes & more to come. Looking for a unique gift? Tenney Memorial Library T- Shirts might just fill the bill! Purchasing this gift will also support your library’s fund raising efforts and help us to supply more of the things you would like in the library. T- shirts are always available at the library. Let’s all try to become leaders in some fashion this year. EVERY Thursday at 6 o’clock, you are welcome to come to the library to enjoy a lively game of Scrabble. Exercise your brain and get out of the house. For more information contact Elizabeth Burnham: redburn70@gmail,com. (We have multiple boards and a SCRABBLE dictionary should any disputes arise.) All are welcome to join this low stress group. Taking a break for the winter. Watch this space for new date and time. The preschoolers of “Watch Them Grow- Newbury” walk over two Tuesdays a month with their teachers to enjoy stories read by the librarian or community members. You never know who will attend these story times. (One time two goats visited the children.) All are welcome. We have been expanding our collection of children’s books and have lots of new ones to pick from. I especially like the reworking and parodies of some old favorites. We have “The Seals on the Bus” instead of “The Wheels on the Bus”, for example. Pretty funny! The Newbury Book Discussion group is sponsored by the Newbury Woman’s Club and meets on the first Thursday of each month from 7:00-8:00 pm. Everyone is welcome. The Newbury Woman’s Club “Pins and Needles” group meets on Thursdays from 9:30-11:30 AM. Everyone is welcome! Bring whatever handcraft you are currently working on – knitting, embroidery, felting, quilting, crewel, counted cross stitch, mending, and crochet – anything! New people are always welcome. We have PUBLIC COMPUTERS for your use, as well as WiFi, and a printer! TML has FREE PASSES to all Vermont State Parks including Groton State Park. Ask your librarian for more information and how to check out passes. Be on the lookout for this year’s Tenney Memorial Library fund raising letter. Your support has made this a remarkable year. Your generous donations enable us to continue offering library services, as well as special programs that benefit our entire community. With your help 2019 will be an even greater year. You can help us achieve our goals by using Amazon Smile which makes a donation to the library each time you make a purchase from them.